Top and cap are sold separately. Higher temperatures can expand the plastic tube, letting liquid seep down into turning mechanism. COMMENTS: These are perfect for lip balms. I'm expanding my lip balm collection and these are my go-to lip tubes! COMMENTS: Easy to use. Great when used with the holder to pour in the base to these tubes. No leakage. COMMENTS: It is very easy to fill! COMMENTS: My go to place for lip balm supplies! "The best on the market!" COMMENTS: We make hundreds of lip balms every year, and we've never once had a problem with these tubes or their matching lids. COMMENTS: This is a durable tube I use for lip balm. The lids are sold separately. The tube fits perfectly on the lip balm filling tray for ease of filling the tubes. I am pleased with this purchase. "Great lip balm containers at an affordable cost"
COMMENTS: I used these containers to make lip balms for my christmas gifts. The containers held up really well and i have had no issues with using them. COMMENTS: This tube (and the cap that goes with it) are perfect for any lip balm product. These have turned into one of my best sellers! Will definitely order again! COMMENTS: This is the first lip tube that I've used so I really can't compare but I had no issues and found them to work well. COMMENTS: I have ordered hundreds of these tubes from WSP and have yet to be disappointed. Very sound construction; these tubes are thick and strong enough to withstand being in pockets or a purse without bending or breaking like some of the more expensive tubes sold elsewhere do. The caps always fit perfectly, and go on without any problems. Very well made product at a very decent price--allows me to sell my top quality lip balm line at a very affordable price! COMMENTS: These work perfectly. I've never had any leakage when the balm was poured hot into the tubes.
" .15 oz White Lip Tube Only - Round"
COMMENTS: The ".15 oz White Lip Tube Only - Round" is a very high quality lip tube. I have no problems twisting the tube with my arthritic hands. 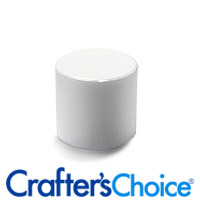 ".15 oz White Lip Tube Only - Round"
COMMENTS: Great Price point no problems with these containers great value!! "Great value for price, and consistant quality." COMMENTS: Wholesale has a great price point on these lip tubes and I've found the quality to be consistent, no weird tubes that were messed in manufacturing. They also seem to be able to keep their lip tubes in stock! COMMENTS: The tubes are very good, especially for the money! COMMENTS: As described, no leakage! COMMENTS: These tubes and tops are excellent quality at a great price! COMMENTS: Works well. Looks good. Have had no problems with the mechanisms working. COMMENTS: Great Value and works wonderfully! COMMENTS: I use this for my lip balms and its easy to fill and sturdy, will buy again. COMMENTS: Affordable, great size, and quality. Caps fit perfectly. Easy to shrink wrap. COMMENTS: affordable and good quality. COMMENTS: Love these for lip balms. 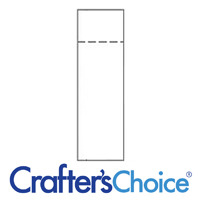 ".15 oz White Lip Tube Only - Round "
COMMENTS: Great for lip scrubs!! COMMENTS: Use this for lip balm. COMMENTS: While I prefer the "oval" lip balm tube because it does not "roll" on the table and allows for a slightly larger lable, I use the round ones for my flavored lip balms. For my "raspberry" I use a pink lid; for peppermint flavored, I use a red lid; and for my herbal infused lip balms I use an orange lid. Helps me know at a glance what I am running low on. Having options is a nice feature of WSP. COMMENTS: Nice product, nice price! COMMENTS: Easy to use and hold product well. 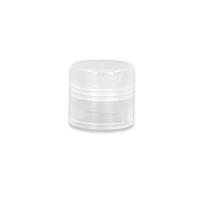 ".15 oz white lip tube- round"
COMMENTS: These little babies fit perfect in the silicone lip balm mold and filled extremely nice! Has made a great addition to my product line! • Size, shape and convenience. COMMENTS: Its always great to have lip tubes. I make a bug bit balm with these and they work great! COMMENTS: Easy to fill. Good sturdy plastic just what you need. I filled seven at a time, wrapped them in a rubber band and leveled them. Worked great! COMMENTS: Perfect lip tube. Just got through filling three different flavors and they all did what they were supposed to. Love them. COMMENTS: This is the first time i purchased these. I used them today and they work great.they seem to be good qualitt.for chapstick needs these are great. You can even use them for a bug bite relief stick too. Hmmm. I just thought of that. I may need to try that. I will purchase these here from now on. I recommend these. COMMENTS: These are quality ! COMMENTS: I've had good success with this tube, with no leaking. I just wish I could pour lip balm at a higher temperature. I like how WSP sells the tubes and caps separately, since I use the natural cap with this white tube. COMMENTS: These are perfect for my lip balms. I haven't had any problems with them at all. "Very nice and at a great price"
COMMENTS: These are very nice lip tubes and the price is wonderful. COMMENTS: These lip tubes work perfectly. Never any problems with them! 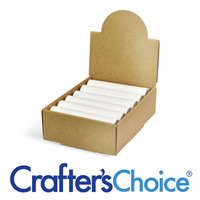 COMMENTS: These were perfect for my lip balms, and customers love them! COMMENTS: Great lip balm tubes, good quality. My favorite thing to do is making lip balm. Thanks WSP. COMMENTS: Bought these for my lip balms and have now gone through a couple hundred. Very pleased with this product! COMMENTS: This is a good lip balm container. COMMENTS: Great item - worked really well for us. Customers love these. They make a nice, clean look/statement w/ our other products and are appealing w/ our black and white labels. They hold just the right amount of balm with no leaking. Used the silicone lip balm 'holder' to hold them while filling - what a time saver that little gadget is! Another great WSP product we can not do without and will order again soon. COMMENTS: This is a standard lip balm tube. Works well, exactly as you would expect. Use care with the temperature of your product at pour time. If you pour too hot the plastic will distort and you may not be able to use the twist up. Also it may distort the top making the standard cap not fit properly. This is all common with standard tubes and should not be considered a fault. COMMENTS: The only lip balm tube that I use. Sturdy construction, impressed with quality of product. COMMENTS: Very nice and sturdy. Caps fit tightly. COMMENTS: These lip balm tubes are perfectly sized for a perfect lip balm. COMMENTS: Have ordered these previously. They work fine with the lids. Will order again. COMMENTS: I have been ordering these for almost a year and they are perfect! I have tried numerous other brands in the past and nothing has been as great of quality as these. These are the only tubes my company will use! In all my orders there was one tube that was broken and unusable. Other than that PERFECT! COMMENTS: I love these tubes and they are a staple in my soap lab! I did away with balms in the tiny pots in favor of these since they are more sanitary to apply and my customers love them. COMMENTS: Bought these tubes from WSP for the first time last month. All lip balm tubes are the same - you say. However, I noticed that the ones from WSP are a little bit larger opening (tops from a different supplier fit more snuggly and almost needed to be snapped on). While the tops purchased from WSP pop on with no issue. Not normally one who likes to purchase tops separately (at least for lip balm tubes) - I like the selection of colors available. Comes in handy for signifying a different flavor or new formula. COMMENTS: Love these tubes for my flavored lip balms they are just perfect! Don't pour too hot though or they will leak! COMMENTS: These round lip balm tubes are great! WSP is the only place I order these from! Great price...Great product! "White Lip Tube - Round"
COMMENTS: Very high quality tube. COMMENTS: Just a really solid product. Easy to use; easy to clean; works every time. Will repurchase. COMMENTS: Great size, easy to use. COMMENTS: It did not melt like some tubes will, nice quality, will buy again. Customers like the nice white with shrink wrap that fits perfectly. Thank You WSP!!!!!!!!!!! "Handy for perfume sticks too :)"
COMMENTS: Great lip balm tubes obv., but also great for solid perfume sticks. COMMENTS: I will absolutely buy these again. The product is well made. COMMENTS: I will definitely buy these again. The product is well made and they work great for lip balms. COMMENTS: This is a nice, solid container for lip balms. No leakage, as long as you adhere to the temperature recommendation. Will buy again. COMMENTS: Made lip balm in these and they turned out very nice. Very professional looking! COMMENTS: We have used this product from the very beginning. It is easy to use and the white stands out better than the clear container. It's a great product at a great price. COMMENTS: these lip balm tubes are better than the store bought ones. COMMENTS: I like these tubes; think I'll try the oval tubes next time! COMMENTS: Perfect lip balm tube at a reasonable price. No problems. COMMENTS: Purchased these tubes and used them for my first wholesale client. She told me it turned out better than expected speaking about the finished product. Her private label lip balm. I like the tapered opening so the opening isn't as wide as the tube.and when you put the cap on them you hear a nice snap and know they are shut. COMMENTS: These are perfectly functional for lip balms. Every one in the bag worked as expected. Easily filled using dropper or the silicon tube filling tray. COMMENTS: These tubes are the perfect solution to add professionalism to my lip balms. 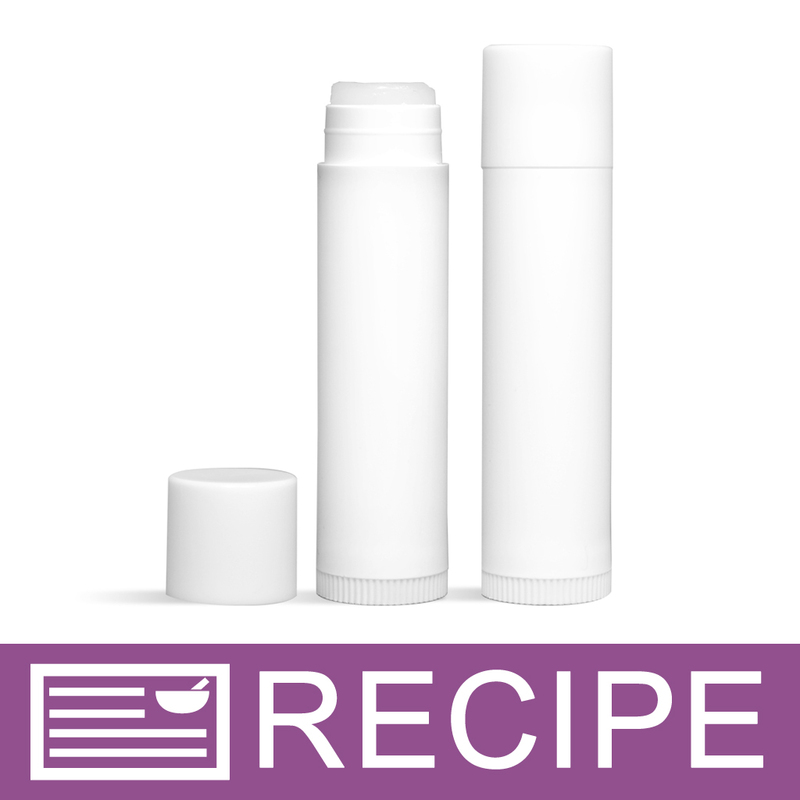 I am new to making lip products so I wanted a quality container that is easy to add a label and present to the customer, and this is a great tube. Would like to have the option to buy tube and cap as a set. But I like the individuals just incase I needed to purchase only by missing pieces. COMMENTS: Perfect for my lip balm tubes. Easy to fill and no problems with the mechanism twisting up. Seals nicely with the lids. COMMENTS: I've used these for a few years and have been thrilled. Every one works every time. COMMENTS: Used these for lavender lip chap stick and fit perfect with top, easy to use. COMMENTS: The are standard sized lip balm tubes and fit my pouring tray perfectly. COMMENTS: These tubes easily snap into and out of fill tray. Easy easy. look great once labeled. Used with a neutral color cap perfect for all. COMMENTS: These held up quite well and look neat. COMMENTS: I use this tube to make my lip scrubs and it's the perfect size! My customers love it. COMMENTS: I just started to make lip balms and I have to say that I love these tubes. Good quality! COMMENTS: Had to order more of these cute little tubs because I still had product left to make afterwards. COMMENTS: Worked perfectly for my lip balms and fit in the filler try nicely. COMMENTS: These are good and worked well. Just remember to fill slowly and avoid air bubbles. COMMENTS: I have used other suppliers lip balm tubes and have been most happy with the quality of WSP. I have not had a single unusable tube and I have used 100's. "The Only Lip Balm Tube I will use!!!" "Exactly what I needed and was looking for!!!" COMMENTS: What can I say these are great. Exactly what I was wanting and seems very durable. COMMENTS: These are great little tubes. And the price can't be beat! COMMENTS: Love these tubes. I am so amazed how the finished product came out! COMMENTS: These are great tubes, no complaints! They work just as expected! "Great tubes at a great price"
COMMENTS: I love my lip balm tubes. I will be ordering more in the future but in a bigger quantity so I can use them for my solid perfumes too. COMMENTS: I really like these lip balm tubes, wholesale supply warehouse has never let me down, these tubes are good, wsp lids fit them perfect !! COMMENTS: Great size and perfect for my lip balm! COMMENTS: These tubes are perfect for the hemp lip balms I make. I am getting ready to order some more !!! COMMENTS: Nice and great value. Easy to fill, easy to over fill but once you get the hang of it these little babies are great. COMMENTS: As always excellent in quality and the lids always fit nice and snug. 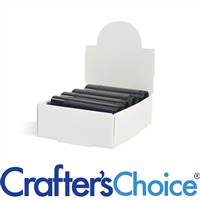 COMMENTS: These are high quality lip balm tubes that have smooth edges and look great. I love these tubes!!! COMMENTS: I use these for my lip balms and I love them! I sell lots of lip balms and I use these tubes all the time. Thanks WSP for offering them. COMMENTS: Used for lip balm recipe on wsp. They worked great and looked really good. Well made. Looked professional with my label. COMMENTS: I have sold a ton of these. They are always functional. I have never received a broken one or one with any issues. They are perfect for lip balms. Cheap enough that they make great take aways for customers at my booths. COMMENTS: What else can I say? They are sturdy, cheap, don't leak, and fit the tops I ordered. Made with a pretty hard plastic and isn't seen in commercial lip balm tubes. Going to become a staple in my lip balm making and a good add-on to my orders when I need a bunch. They might even be reusable if washed well enough. COMMENTS: I have bought lots of these and not once have I had one fail. They work beautifully. The price is great and allows you to use beautiful labels. COMMENTS: These lip balm tubes work great. They look professional and didn't warp at all when the liquid balm was added. COMMENTS: These are great! They fit perfectly into my filling contraption and I've never had a problem with seeping with them. COMMENTS: This is the only lip balm tube I order! I have never had any issues with broken tubes, always reliable! COMMENTS: I've used these for hundred of lip balms and have never had a leak. I have had only 1 faulty tube of the many I've ordered and I'd say that's a great track record. COMMENTS: This tube is a great addition to my line of products. Labels adhere well and fits well in your pocket or purse. "Great quality lip balm tubes!" COMMENTS: These are great for my lip balms and tester-size body bars. They hold up well against high temperature pours. Have been using these for a great deal of time and will continue to do so! I have no complaints about any aspect of this quality product. COMMENTS: I love these. They were relatively inexpensive and they are well made. The twister doesn't get stuck and they are easy to use. I love how you can get different colors of lids for the different flavors. Will buy again! COMMENTS: Makes my products stand out and my clients like the presentation especially when accompanied with the lip balm box. "Made All Natural Lip Balms"
COMMENTS: I love these. I made all natural lip balms in Grapefruit, Peppermint and Orange and used the colored tops for each. Just like the ones in the stores. COMMENTS: didn't know making lip balm could be so easy. 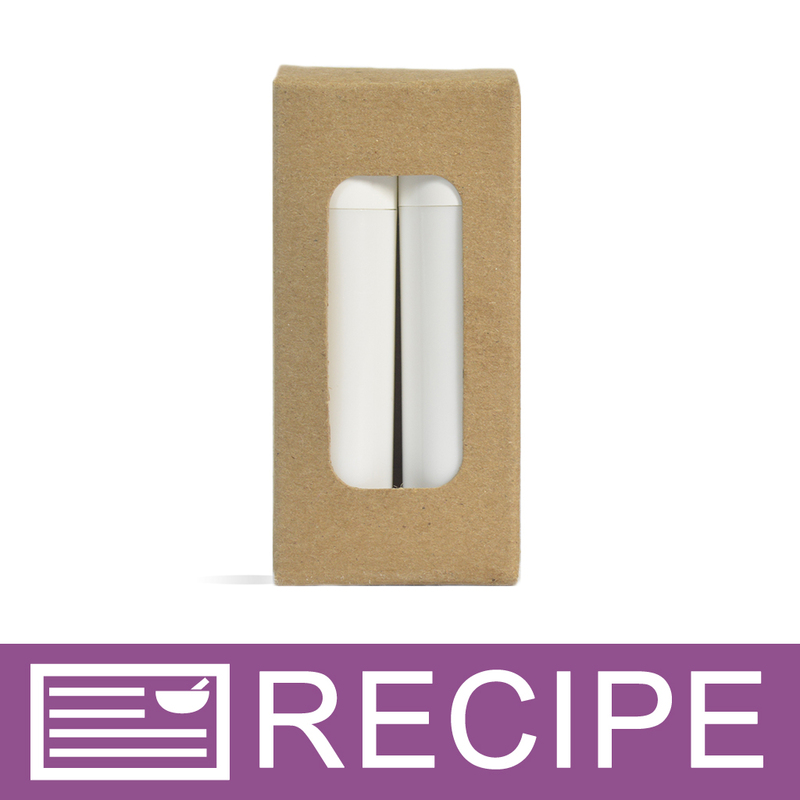 these little tubes were easy to fill and worked great and the fact that they were white made them easy to decorate with a label or decorative paper tape. COMMENTS: Great product and value with FREE shipping!!! COMMENTS: Worked perfect for my lip balm, I will buy them again! COMMENTS: Awesome product will buy again the same size as most Chapstick tube lids stay on but are not hard to remove either. "Lip Tube - Round White"
COMMENTS: great price, great look and great tube. COMMENTS: This is a great lip balm tube - I have tried others which have broken on me - but none of these broke. They are sturdy and good quality. Will buy again. COMMENTS: Love these! Great for lip balms and even lotion bars on-the-go. And you can't beat the price!! COMMENTS: These are great and their color tops fit perfectly! "economical tube with many color choices"
COMMENTS: These are great tubes. I am especially pleased that there are so many colors to choose from. I use the purple lids exclusively. "Reliable General Purpose Lip Balm Tube"
COMMENTS: I’ve gone through hundreds of these so far and only had 1 malfunction. Very easy to wrap. I highly recommend WSP’s round shrink bands for those who sell to retail shops or attend markets. I use WSP’s ¼ ounce polycons with popsicle sticks for sample tasting at market. "Perfect for our Lip Dew Needs!" COMMENTS: We use these for all of our lip dew options and switch up the lid accordingly. COMMENTS: Lip balms are my big ticket item. I have loyal customers that just love these tubes. While they seem boring, by adding the different colored caps to your line, it can really jazz up your display. Big winner for me! "Very Practical Size for Solid Perfumes"
COMMENTS: I have had very good luck with these lip tubes, both for lip balms and for solid perfumes. I have made the perfumes for favors and these hold the perfect amount. COMMENTS: These work well. They give my lip balms a professional look and hold a nice amount of product. They are easy to label and seal. "I love these tubes but my labels will not stick to them. I have tried cleaning them with alcohol before labeling and they stick initially but come lose after a day or two. Is there a trick to cleaning these? Thank you." Staff Answer Try using a shrink wrap band to keep the label in place. "What happened to the .15 oz Natural Lip Tube - Round? I can only find the oval ones, and the white round one. Usually if they are out of stock, they still show up in a search. Did you discontinue them?" Staff Answer They have been temporarily removed from our website but we are expecting a new shipment in the next few weeks. "What diameter are these tubes?" Staff Answer These lip tubes have a diameter of 5/8 inches. "Which label would fit this lip tube?" 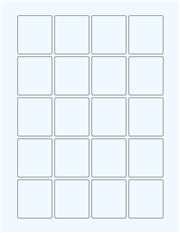 Staff Answer Under "Related Products" on the Additional Information tab, we show the 1.6"x 1.8" rectangle would work for this. "Are the lip tubes and caps BPA Free?" Staff Answer Yes, the lip tubes and caps are BPA Free. "Do colored caps fit this tube? I see choice of white, black, clear but not colored." Staff Answer Yes, colored round lip tube caps fit this tube! We currently do not carry colored ones, but sometimes we carry them in our SURPLUS. "Do the lip tubes have a shrink band?" "What is the easiest way to fill the tubes?" How I easily fill the tubes is by taking a rubber band and wrapping it around about 5 tubes, then I use a pyrex measuring cup with the spout on it to fill them. I dont recommend using pipettes because the product hardens too quick that way. You can also get a small funnel and a lip tube filling tray is also handy. "What is the usable space on the lip tube for labeling purposes? Thanks!" Staff Answer This tube measures 1.75in from the above the twist up thread to below the neck where the cap is affixed and 1.75in in circumference. "What type of plastic are the lip tubes made of? Are they USA manufactured?" Staff Answer The lip tubes are made of polypropylene plastic and are made in the USA.